OLD SHEFFIELD PLATE SILVER MUSTARD POT, CIRCA 1790. 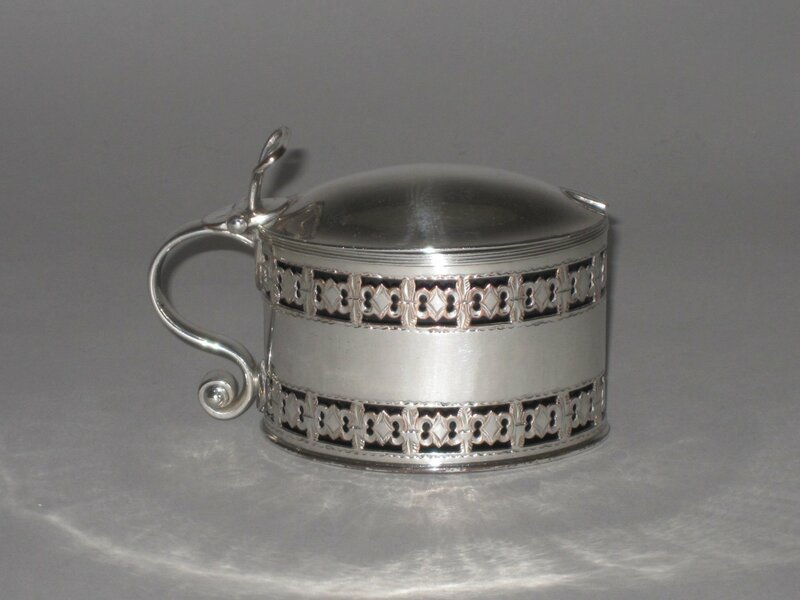 AN OLD SHEFFIELD PLATE SILVER MUSTARD POT BY ROBERTS, CADMAN & CO.. CIRCA 1790. Of large oval lidded form with pierced and chased decoration and with a blue glass liner. Illustrated in Old Sheffield by Gordon Crosskey, Treffry Publishing 2011, fig 204, plate 236.